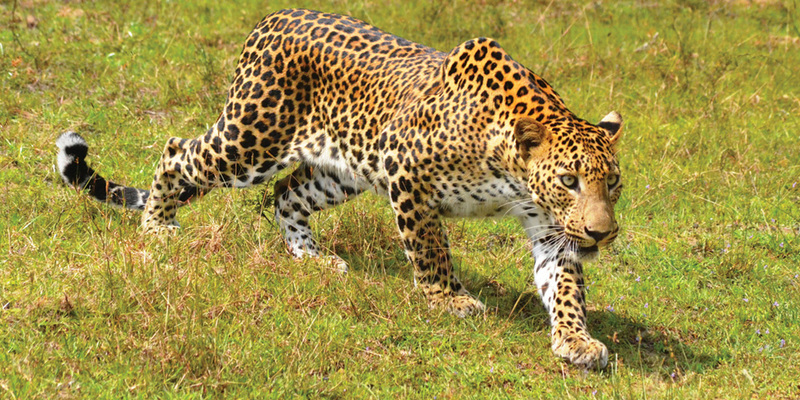 Leopard Safaris is an award-winning safari company specialising in ecotourism camping adventures that take you into the heart of the Sri Lankan wilderness. Using stylish South African tents, complete with queen-sized beds and a range of modern comforts, Leopard Safaris covers three major national parks: Yala, Wilpattu, and Uda Walawe. The campsites are made up of non-permanent structures set up the day before your arrival, ensuring minimal impact on the parks, whilst still allowing delicious al fresco wining and dining and an unbeatable personalised service. Expert staff are dedicated to helping you seek out even the most hard to find wildlife in the park. For game drives Leopard Safaris use customised Toyota jeeps which can handle every type of terrain, give excellent views and are fitted with camera support points for photographers.